Brendan Hoffman/Getty ImagesHoward Fineman in 2009. 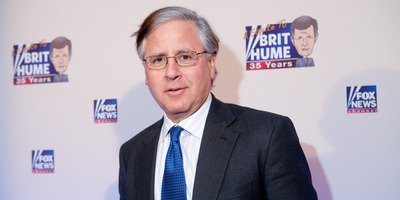 Howard Fineman is leaving HuffPost after seven years. His departure comes as many top figures at the site have left amid a shifting editorial focus. The global editor and longtime television pundit Howard Fineman is leaving HuffPost for NBC News. In a memo to staff, Fineman said he would be contributing written pieces on “politics, in Washington and nationally, and on other topics” to NBC News starting on January 8. “I have been in and worked in a lot of newsrooms, and there is NO PLACE where people care about and cheer for each other the way HuffPosters do,” he said in a memo to staff. Fineman was one of the publication’s first high-profile hires as it matured from a scrappy digital site to a major news outlet with both blogging and longform original reporting. In recent months, many top figures have left the organisation amid an editorial shift to what Editor-in-Chief Lydia Polgreen described as a digital-media tabloid.